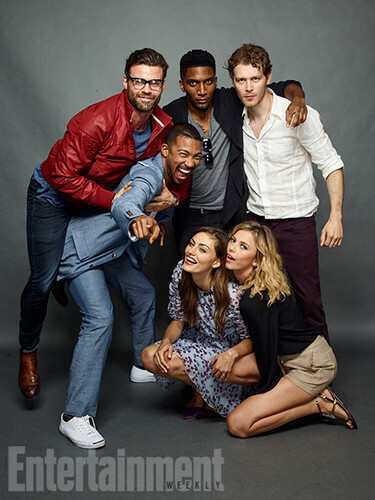 The Originals Cast at San Diego Comic COn 2016. . Wallpaper and background images in the The Originals club tagged: photo the originals san diego comic con 2016 daniel gillies charles michael davis yusuf gatewood joseph morgan phoebe tonkin riley voelkel. This The Originals photo might contain geschäftsanzug, business-anzug, gut gekleidete person, anzug, hosenanzug, pantsuit, lange hosen, and lange hose.